This article looks at how to know when to call the vet if your dog is sick. It can be difficult at times to determine whether a dog’s medical symptoms are serious since they’re unable to tell you when they’re uncomfortable or in pain. For this reason, it’s important to be aware of certain signs that suggest it’s time to seek medical attention for your canine friend. When it comes to the health of your dog, it’s better to be safe than regret that you didn’t respond to your dog’s symptoms quickly enough. Does your dog have mild symptoms such as diarrhea or an upset stomach and still appear happy and energetic? Chances are if he greets you with an animated wag of his tail and a happy energetic lift to his step, he probably isn’t seriously ill and can be watched closely for further signs of illness. When a dog stops eating, it’s time to call your vet. If this goes along with vomiting and diarrhea, it could be a sign of pancreatitis, a potentially life threatening inflammation of the pancreas. This is a definite indication that further medical attention is needed for your dog. To check your dog’s heart rate, feel for the large artery that extends along the inside of the back leg. Gently place on the artery with the three middle fingers of your hand and count the beats over a one minute period. A normal heart rate should be between 80 and 150 beats per minute. If your dog’s heart rate is outside that range it could indicate a fever, shock, or a serious illness and is an indication to call his vet. Check your dog’s respiratory rate while he is not panting by counting the number of beats per minute. The normal number of respirations per minute should be 25 to 60 beats per minute. Anything outside this range is suggestive of underlying illness. You should be able to use a rectal thermometer to get an accurate temperature reading on your dog. 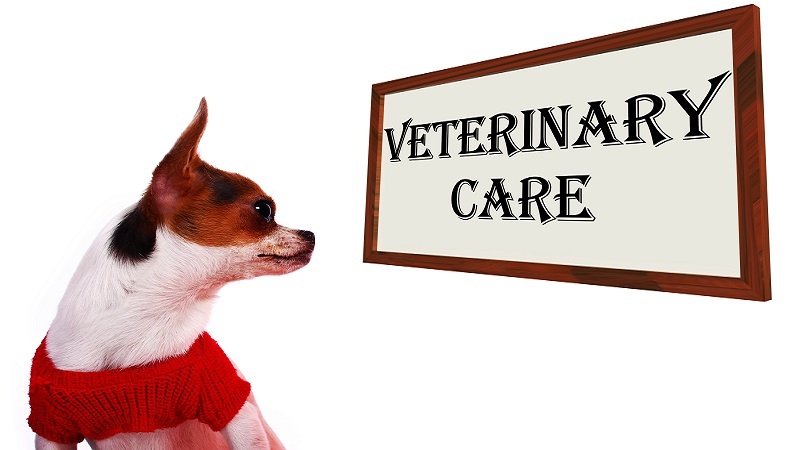 A temperature above 102 degrees Farenheit is abnormal and indicates that your veterinarian should be called. To see if your dog is dehydrated, pull a handful of skin from over his shoulder and immediately release it. It should snap back into place briskly. If not, your dog could be seriously dehydrated from vomiting, diarrhea, or other means of fluid loss. Lift up your dog’s upper lift and check the color of his gums. The gums of a healthy dog will normally be a healthy, pink color. If they appear pale or white, this could a sign of impending shock or anemia which is an indication to call your vet immediately. Your dog’s eyes should be bright and clear. The pupils should be equal and should constrict when a light is shone into them. You can assess vision by a sudden hand movement towards your dog’s eyes. He should respond by blinking his eyes. By being aware of your dog’s normal behavior, you can more easily determine when a significant change has occurred. It’s helpful if you perform these health checks periodically to determine what’s normal for your dog so you can better make a decision as to when to call the vet.